Selfie GO offers an innovative view on interactions within social networks. It utilizes AR technologies and its own cryptocurrency. It uses AR and gamification which encourage users to share photos, participate in weekly tournaments and create their own contents. Geolocation and Augmented Reality make it possible to create more valuable and engaging news feed which is based not only on personal connections and/or interests but also surrounding events. The project shares its revenue with users on a daily basis by buying back on the exchanges the equivalent of 30% of advertising revenue in SGO tokens. These tokens will be distributed to active participants in their social networks. Selfie GO includes an entire business-oriented ecosystem based on cryptocurrency. It will provide its own marketplace, token transfer system, and targeted advertising platform. 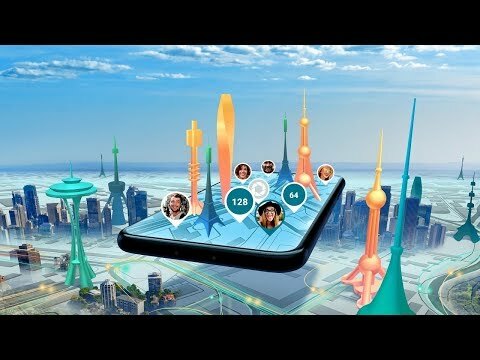 It allows users to place advertising and native materials on special Augmented Reality geo objects located in social gathering places such as local attractions, shopping malls, schools, universities, and more. Selfie GO is the future in the evolution of blockchain-integrated social networks. It extends the frontiers of the crypto-world and ICO, making them accessible to the public at large. The concept is similar to that of existing social media platforms but with the extra features of AR technology that will promote users to share data and this in turn will track other users, in order to make friends globally. My question here would be, how safe and secure will this be? I hope the team will show its true ability in turning this concept into a reality. I will surely keep an eye on this, to see how the community adopts the whole idea and vision. The team seems very fresh , i cannot find lots of information about their background and their achievements, but i would say success starts somewhere and ofcourse we need new names and talents , hopefully this young team will have the right knowledge in running the business, cause having knowledge in computers is not enough and does not make you eligible to operate a multi million dollars business. Also such a software does not cost tens of millions of dollars, the hard cap is very high, specially the team comes from a region where labor is not so expensive. And about this project having value, i would say it needs first to sign deals with big companies to integrate this into the platforms, or i would say this would have no value before 5 years from now. I like the idea and the technology, but it is not the best investment on the market currently. Creation of the AR platform. Selfie GO Alpha version released. Website launch with full ICO documentation. Product launch (an AR social network). Release of the voting system that enables users to vote for new features in Selfie GO.